You can duplicate surveys from the survey details page. 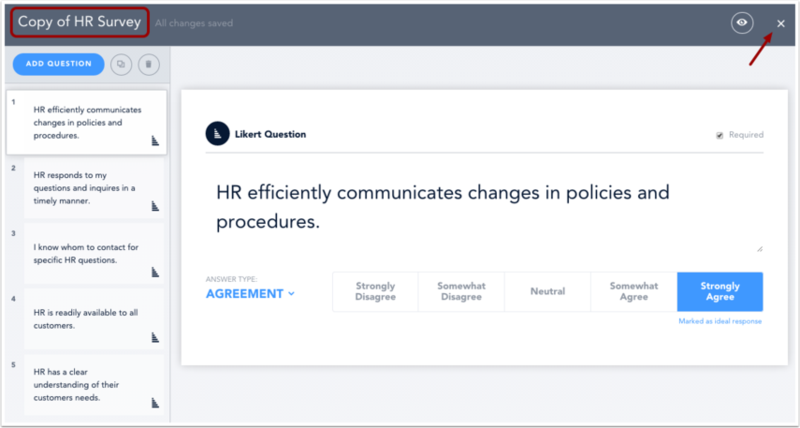 Individual question options will be retained (required questions, ideal responses) in the new survey. Distributions will not be copied over to the new survey. On the survey details page, click the Duplicate icon. The new survey will open in the content editor. Individual question options will be retained (required questions, ideal responses) in the new survey. Edit survey content as necessary. In the survey title field, you can change the name of the survey. To add a distribution, click the Add Distribute button. 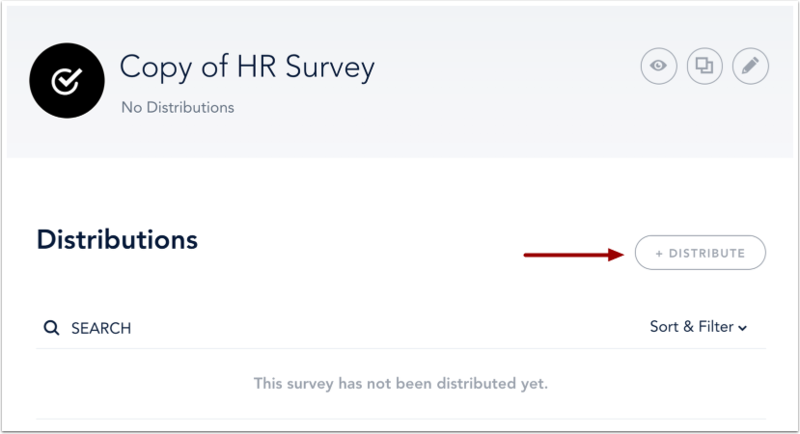 Adding a distribution will automatically publish your survey and send an email notification to learners. Previous Topic:How do I send a message to survey participants? Next Topic:How do I delete a survey? 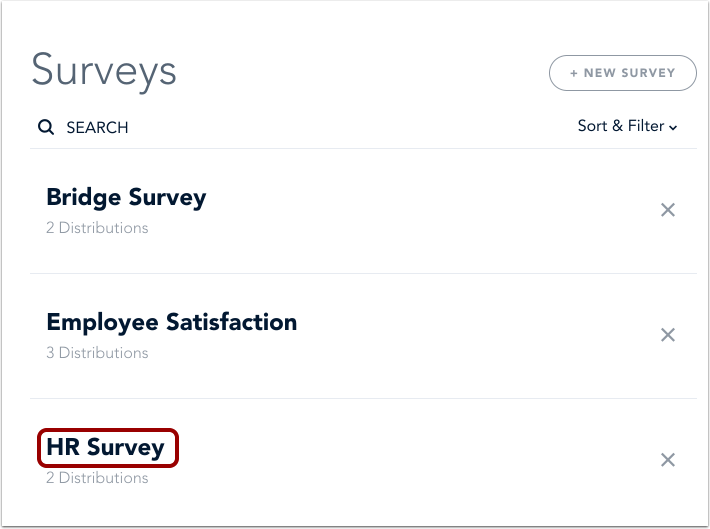 Table of Contents > Manage Surveys > How do I duplicate a survey?